AIGA is supporting the International Course on Geotechnical and Structural Monitoring! 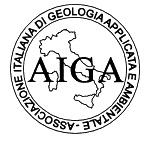 The “Associazione Italiana di Geologia Applicata e Ambientale” – AIGA promotes and organizes national and international congresses, conferences and other scientific meetings. It provides consultancy to Ministries, Entities, Committees and Commissions; it promotes the publication and dissemination of geological and environmental application research results.